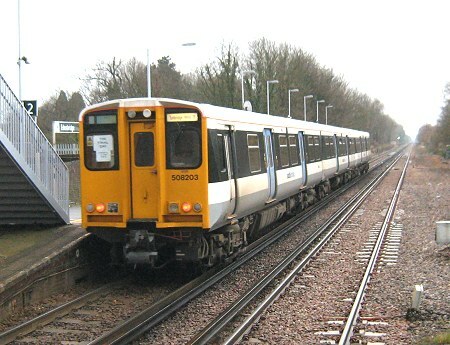 Showing no signs of poor railhead conditions, 203 is stopping at Edenbridge on its down working. 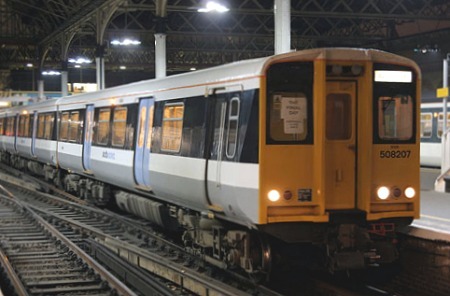 207 at London Bridge again, five minutes before the final departure by a class 508 from a London terminus. 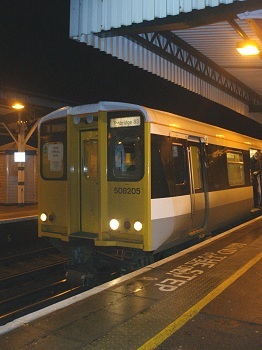 207 on arrival at Tonbridge on that last working from London. 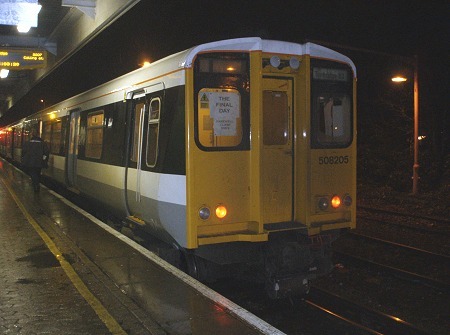 We are now fully into the end-game with the final passenger working of a class 508 on the Southern Region, 205 at Three Bridges with the 21.48 service to Tonbridge. 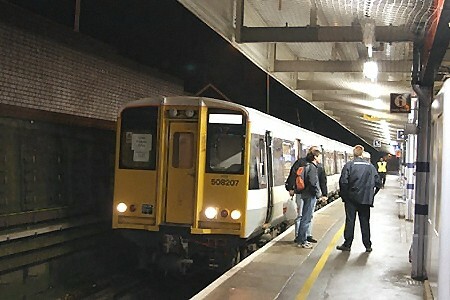 This working requires a reversal at Redhill.